Track workflow on site in real time using mobile devices, custom mobile forms and barcode scanning. 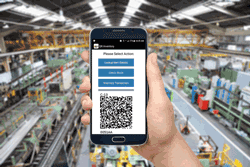 If your business needs to record and collect multiple data as project or product batch moves through the workflow, QR Mobile Data software is for you. With QR Mobile Data mobile application you will be able to track everything efficiently, in real time, and eliminate physical paperwork. Create an unlimited number of business processes / workflows via the web dashboard, and link mobile forms for data collection to the workflow steps. Your employees will be able to track project or product batch through workflow and fill out forms on the mobile devices. Create and manage workflow(s) via the web dashboard, define steps, provide description and instructions. Optionally create custom mobile forms for data collection and recording during the process, and attach forms to the workflow steps. These can be forms for recording observations, collecting measurements, product testing results forms, quality control forms, and so on. Adjusting your processes and workflow is not a problem - you can update mobile forms as needed, and your employees will have up-to-date forms on their mobile devices. Add clarifying text and optionally visual instructions to the form fields, so that your employees will know exactly what to do. Minimize manual entries and errors: allow selection from the lists or scanning in data when possible. 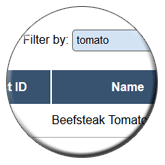 Build-in data validation: define data types that need to be entered, and if the field is required or optional. Employees can complete the form at once or in steps. The completed part is auto saved on their smartphones, and can be accessed later when they resume their work. 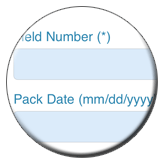 Automated field - office communication: you can pre-fill part of the form and push to the mobile devices for completion, as well as edit submitted form or fill out "office only" part. If something is not correct or requires more work, you can push the form back to the mobile devices. Use mobile devices to track project or product batch through the workflow and collect data on site in real time. Collected data are stored in a centralized cloud location, so all authorized employees have a live access to projects progress and collected records. 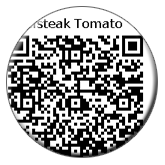 A mobile session starts with an employee scanning QR code or barcode on the object with a smartphone to uniquely identify it. Optionally you can use a hand-held barcode scanner connected to a smartphone for barcode / QR code scanning. Once the object is identified, an employee can access detailed information on this object (specs, instructions), access current object status, and start a workflow or transfer it to the next workflow step. If there are mobile forms to fill out on the current step, an employee can fill them out on a smartphone. As an employee fills out a mobile form, the data are automatically saved on his / her smartphone. The forms can be done to minimize manual entries and associated errors. An employee can select data from the list, checkboxes or radio buttons. If you need to track serial numbers / lot numbers of used containers, instruments or ingredients an employee can scan them into the form fields instead of entering manually. An employee can take photos with a smartphone for visual documentation. A photo attached to the form can help illustrate the problem or document completed task. A manager, supervisor or customer can sign a form on a smartphone if required. An employee can stop and resume working on the task / filling out the form at any time - no data are lost in the process. When form is completed, it is sent to the secure cloud. Collected data and documentation become available to all authorized users / devices in real time. GPS location of the form submission is automatically transmitted to the server and can be reviewed on the map. Workflow tracking process produces digital documentation which is securely stored in the cloud and can be accessed on demand by authorized personnel. Use collected records to produce custom PDF reports for internal use, customers or external auditors. Data collected in the field are securely stored in a centralized cloud location. Whenever you need to get a documentation on a specific process, project or product batch, you can get this information fast from anywhere. Administrators in the office can access submitted records via a web dashboard. They can search records by multiple parameters to find the exact record / data they need at the moment. All authorized employees in the field can access project status and previously collected records by scanning QR code label with a smartphone. You can export collected records for importing into another internal system or software. Produce custom PDF reports based on the collected information. Define what should be included in the report, as well as report look and layout via custom templates. Use PDF documents internally, or give an access to the selected reports to the customer(s) and / or external auditors.